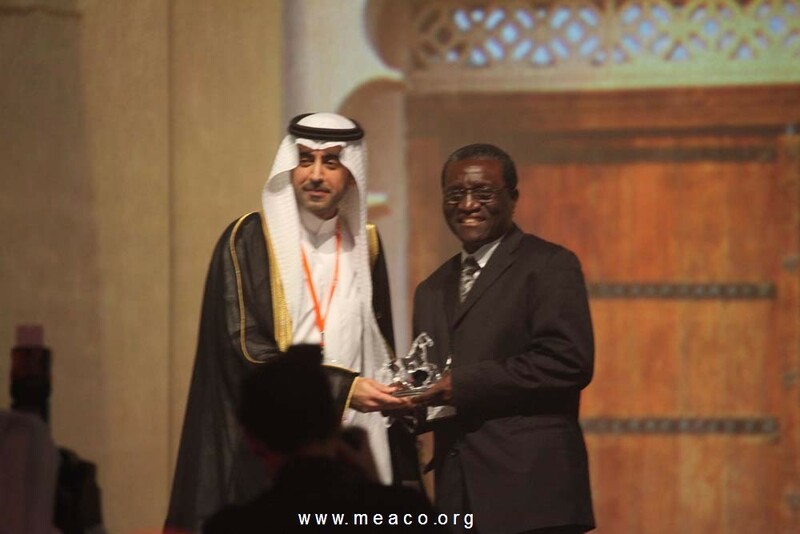 Dr Akef El-Maghraby and Dr Daniel Etya’ale, promoters of the Magrabi ICO Cameroon Eye Institute, received awards from the Middle East Africa Council of Ophthalmology (MEACO) during the World Ophthalmology Congress ® (WOC2012) in Abu Dhabi. The awards were in recognition of their pioneering work in ophthalmology and for significant contributions to global eye care. Dr Akef El-Maghraby was honoured with the MEACO Lifetime Achievement Award for his regionally and internationally recognized contributions and longstanding dedication to the improvement of ophthalmology and ophthalmic care. Dr Daniel Etya’ale received the Prince Abdulaziz Ahmad Al Saud Prevention of Blindness Award for having substantially contributed to Prevention of Blindness in the developing world. This entry was posted in Africa, Afrique, Blindness, International Council of Ophthalmology, WOC, World Ophthalmology Congress and tagged Africa, Afrique, Award, blindness, Cameroon, Etya'ale, ICO, International Council of Ophthalmology, Maghrabi, Magrabi, MEACO, ophtalmologiste, Ophthalmic Care, ophthalmologist, Prevention of Blindness. Bookmark the permalink.